Late last year we revealed we were hard at work evolving Hearthstone Esports into a more sustainable, entertaining, and accessible program. 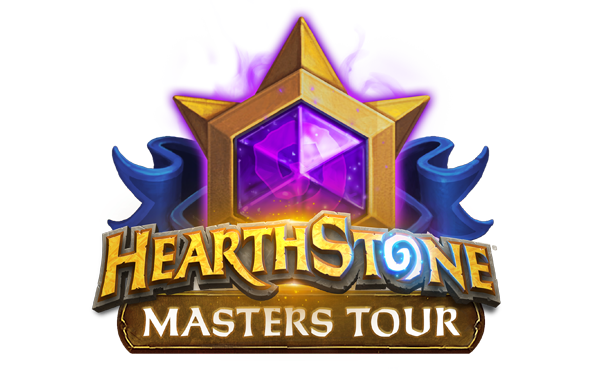 Today we are happy to reveal full details about the first two parts of this new program, which we have collectively named Hearthstone Masters. Hearthstone Masters’ entry tier of competition, Masters Qualifiers, are open to all eligible players who want to test their Hearthstone skills. Each week during a Masters Tour qualifying season, Blizzard will run approximately 30 tournaments, hosted through Battlefy, which will allow players to compete at a time that works for them. Battlefy is a global platform that has been a trusted partner of Blizzard’s for several years now, and we look forward to working closely with them to make Masters Qualifiers a success. But that’s not the only way to qualify! For ladder devotees, each month during a Masters Qualifiers season we will publish the top finishers in the Standard Ranked Play Ladder. Eligible players who end the month in the Top 200 will be invited to participate in a Ranked Ladder Qualifier. 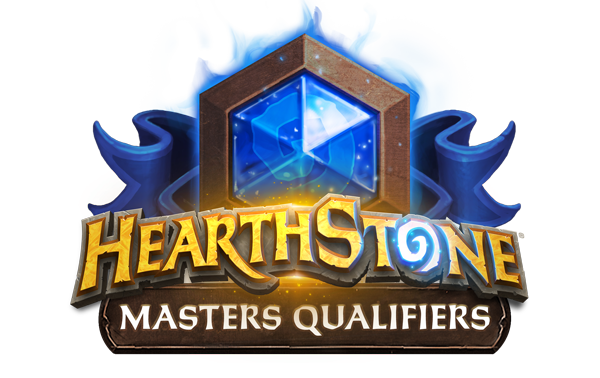 Each Ranked Ladder Qualifier follows the same rules of an open-entry Masters Qualifier, except the top four finishers will earn a spot at the next Hearthstone Masters Tour event. 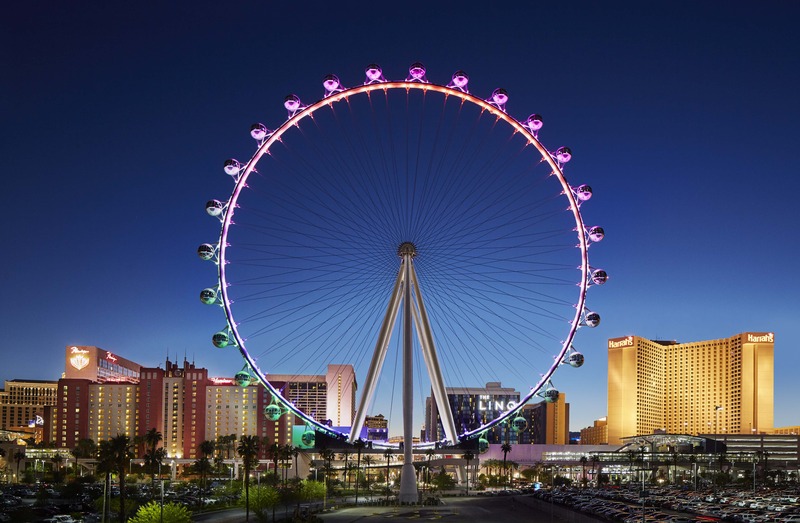 The first stop on the Hearthstone Masters Tour will be in Las Vegas, at the LINQ hotel, over June 14–16. What are we doing at the LINQ? We’re putting on a huge Hearthstone tournament! For competitors the setup will be familiar. Picture tables wired to the teeth with ethernet, primed for players to prove their merit in Swiss and elimination rounds over three days. There is a $250,000 prize pool, plus the incentive of proving yourself worthy of Hearthstone Grandmaster status—but more on that in a bit. That $250,000 could potentially be a lot more. We want to give fans the chance to support Hearthstone Masters directly while getting some awesome in-game items. So later this year, we will introduce a limited-time-only esports bundle in the shop. A portion of all sales will be distributed across the base prize pools of each of the three 2019 Hearthstone Masters Tour events. Keep an eye out for more details about the esports bundle soon. After our trip to Vegas, the Masters Tour will head to Asia and Europe, with even more destinations planned for 2020. The location and dates for each Masters Tour event will be announced at least two weeks prior to the beginning of their associated Masters Qualifiers season. 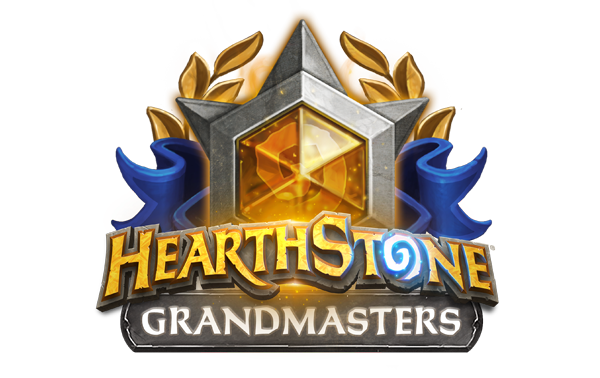 Last but very much not least we have Hearthstone Grandmasters! 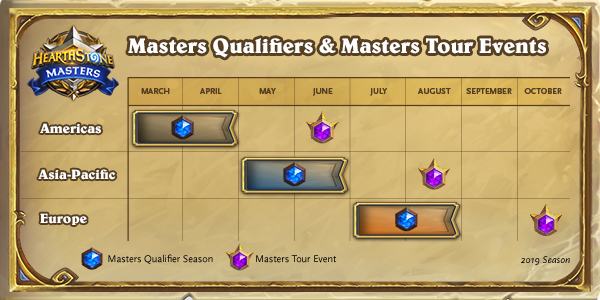 We’re not quite ready to announce full details about Hearthstone Grandmasters, including qualifying criteria, but note that one way in which you can be invited to join is via consistent top finishes at Masters Tour events. Players submit three decks from the same class. Players designate one deck as a primary deck, then the other two as secondary and tertiary. Secondary and tertiary decks may have up to 5 cards different from the primary deck. For the purposes of this modification, two duplicate cards in the primary deck list count as two cards. Players must play game one of each match with their primary deck. At the beginning of game two and onward, players may decide to keep playing their primary deck, or switch to their secondary or tertiary decks. Deck decisions for games two and three, if necessary, are performed at the start of each game simultaneously and in secret from the opposing player. All Masters Qualifier and Ranked Ladder Qualifier matches will be best-of-three. All matches at Masters Tour events will be best-of-three as well, with the exception of a best-of-five finals. Please see the Official Rules and Hearthstone Tournament Player Handbook for specific competition rules, eligibility requirements, and other important details. We have used feedback from our viewers and competitive community to make several new updates, including allowing note-taking in official competition, and more. Good luck, and we hope to see you in a Masters Qualifier soon!